The simple two strap silhouette is what makes Gianvito Rossi's 'Portofino' sandals so elegant and versatile. 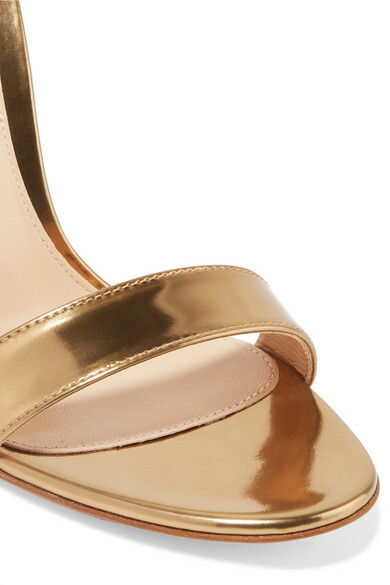 Updated in gold for the new season, this high-shine pair is made from supple leather and has a lightly cushioned footbed that will keep you comfortable all-night long. Wear them with everything from dresses to jeans. Shown here with: Stella McCartney Dress, Marni Shoulder bag, Leigh Miller Earrings.